The X Games will remain in Aspen through 2019. X Games owner ESPN and the Aspen Skiing Co. announced today a deal that would keep the winter carnival of now-Olympic athleticism at Aspen’s Buttermilk ski area for another five years. The X Games launches its 13th year in Aspen this week. By 2019, the Roaring Fork Valley will have hosted the iconic contest for 18 years. Aspen beat out several other bidders to host the snowy bacchanal. Park City in Utah initially expressed interest but wanted the event to reschedule to April. Two Lake Tahoe ski areas in California — Squaw Valley and Heavenly — submitted a joint bid that would have separated X Games events into two venues across the lake. Whistler in British Columbia pondered hosting, but local officials demurred at the idea of flipping, racing snowmobiles, a lucrative staple of the X Games. Quebec City in Canada also submitted a bid. But Aspen emerged as a clear favorite. The valley, populated with four ski resorts, provides an entire ski area — family-friendly Buttermilk — to ESPN for months as the network assembles the venue infrastructure and technical networks required for hosting the sprawling event. ESPN takes over an entire base-area hotel for several weeks while it prepares for the X Games and tears the venue down after the four-day, 200-athlete circus. While the network and privately-owned ski area don’t discuss the economic impact of the X Games, Aspen’s city sales tax reports reveal healthy bumps in lodging, restaurant and bar spending during the X Games. But the cash is only part of the benefit. ESPN’s splays snowy Aspen into more than 260 million homes in 200 countries, a marketing boon that is hard to quantify for a ski company that thrives on powder-hunting visitors. ESPN in October last year nixed a global expansion of the X Games into Spain, France, Germany and Brazil a mere 18 months after launching the international plan. The network in 2012 trumpeted three-year contracts with Barcelona, Munich and Foz do Iguaçu, Brazil as well as continuing support for its European Winter X Games in Tignes, France. In October, the network killed those global events after only one event in each location. The Summer X Games ended an 11-year run in Los Angeles last summer. The wildly popular summer contest will be held this June in Austin’s 1,500-acre Circuit of the Americas sports complex. 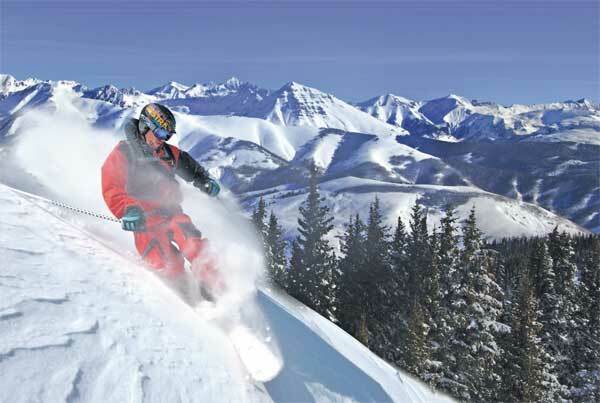 Aspen Highlands will open for one last weekend, this Saturday and Sunday. The resort has received more than 20 inches of new snow in the past week. Loveland Basin will be open until May 5, and until then the resort is inviting skiers and boarders with passes from any other ski area to bring those passes to Loveland where they may purchase a lift ticket for $36. Sugarloaf Mountain has an impressive 134 trails still open. No closing date has been announced, but the resort will be scaling back on its grooming efforts mid-week. Mt. Bachelor will be open daily through May 26, but only from 8 a.m. to 1 p.m.
Alta has one final weekend, this Friday through Sunday. Snowbird will be open daily through May 12, then it shifts to a Friday-Sunday schedule for the remainder of the season (likely until the end of May). Jay Peak, which is expected to close for the season on May 12, has 59 trails and seven lifts in operation. Killington Mountain Resort– with two lifts and 39 trails open earlier this week – plans to be open every day until May 5, then weekends only beginning May 11. Sugarbush Mountain Resort will be open daily through Sunday, then opening for one final weekend on May 4 to celebrate its Kentucky Derby/Cinco de Mayo weekend. Two lifts and 24 trails are currently open. Backflips are taking over skiing and snowboarding. Spinning double and triple-corked trickery was the golden ticket in every competition at last weekend’s X Games in Aspen. The sketchy-to-learn tricks have expanded the training toolbox for athletes to include massive airbags. Superstar Shaun White honed his triple-cork on a private airbag at Breckenridge. 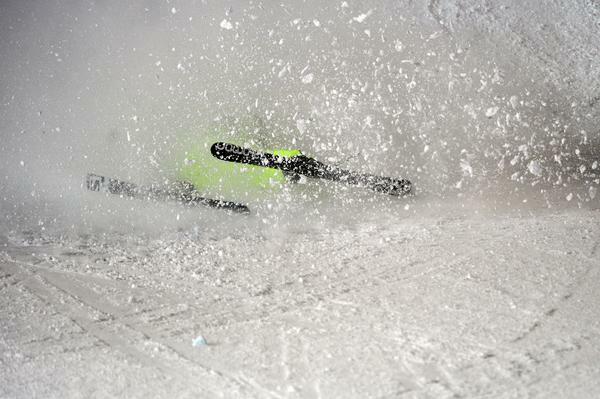 His airbag training at a private pipe at Silverton Mountain in 2010 greased his way to Olympic halfpipe gold that year. Today, the massive bags aren’t just for the pros but also the young aspirants nipping at their heels. “It’s just changed everything. It’s so valuable and such a great in-between step, that difficult step between imagining a new trick and actually doing it. Now we can have the luxury of taking that step and not get hurt,” said Aspen’s Gretchen Bleiler, who sessioned an airbag at Mammoth Mountain ski area two weeks ago as she regained her snowboarding pipe form after suffering an eye injury while training on a trampoline. ASPEN — With some of the more exciting qualifiers rolling through Thursday afternoon to open the X Games, crowds were looking to the skies on a regular basis. With only one finals event Thursday at Buttermilk Mountain, the opening day for the X Games features plenty of qualifying runs down the superpipe and the slopestyle course for the men. 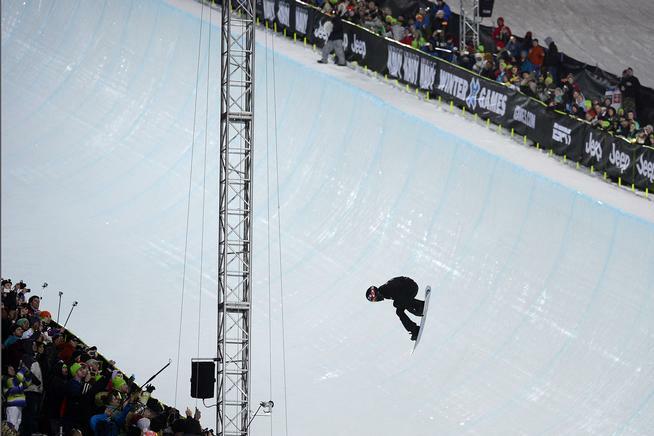 Shaun White squeezed into the slopestyle finals, advancing for the first time since 2009 when he won gold. White qualified seventh Thursday after two runs in the elimination round. Later in the evening, White, who has won the past 11 superpipe events he’s entered, put down a basic first run and earned 87 points, which was tops for the round. However, he dropped to second overall after Iouri Podladchikov, know better as I-Pod, had an 87.33-point run in the second round. White had a chance to best I-Pod, but White bottomed out on his first hit of the second run. Torin Yater-Wallace in 2011 was the youngest athlete to medal at the Winter X Games at age 15. Two years later the halfpipe phenom is a battle-scarred, heavy-medaled veteran. After a momentous 2012 that included the first-ever 1800 thrown in competition and gold medals at both the Europe Winter X Games and the first World Cup contest of the 2012-13 season in New Zealand, the 17-year-old is still on track for an explosive performance in halfpipe skiing’s debut at the 2014 Sochi Olympics. This week Yater-Wallace will announce a sponsorship deal with Red Bull — but he keeps the Target lid — and returns to the halfpipe for his third X Games at Aspen after surgery to repair his shoulder. Joining him in the halfpipe this show are his best pals, 18-year-old Aspen native Alex Ferreira and Crested Butte 16-year-old Aaron Blunck. The contest will highlight the newest-school halfpipe skiers and weathered patriarchs of pipe Simon Dumont and Tanner Hall. As Shaun White ramps up for the 2014 Winter Olympics in Sochi, all eyes will be watching him in the slopestyle competition next week at Aspen’s Winter X Games. He’s gunning to compete in both halfpipe and slopestyle in Sochi and is pretty much a lock for the halfpipe team. His push for slopestyle is less certain, despite his enthusiasm and a list of slopestyle win that eclipses his halfpipe tally. After two seasons off from slopestyle competition to prepare for the 2010 Winter Olympics halfpipe, White’s return to the realm of money booters foundered. He failed to make the finals in the 2011 X Games and qualified last in the 2012 X Games. The next month he won the X Games slopestyle comp in Tignes, France with back-to-back double corks. So the question has been whether White would develop the triple cork in time for a slopestyle showdown on the X Games Buttermilk course. Videos posted Wednesday from White’s practice sessions in Breckenridge’s terrain park seem to indicate that he’s ready.